Lock in a great price for Redwood House – rated 8.4 by recent guests! Wonderful place! Our room was absolutely lovely and Chloe, at the front desk, was very nice and helpful! We were pleased to see the place also has a wonderful restaurant. We highly recommend this place! Everything.. from the staff, location, rooms, atmosphere. Nothing short of spectacular. One of the best locations I've ever stayed at, hands down. Watching dolphins swim by on the lakeview terrace was an added bonus! 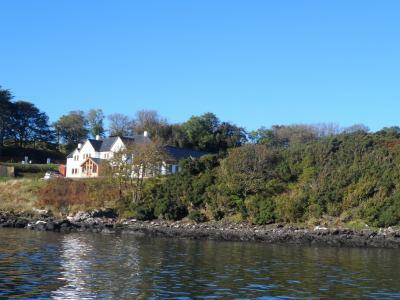 This is a little peaceful retreat on the island.. We were sad to leave this place behind! 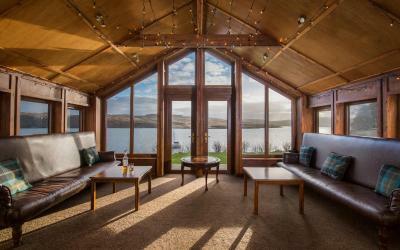 The only place to stay on Skye. Gorgeous, spacious , comfortable room in beautiful location with great views. Room had 2-floors— cozy living room downstairs and bedroom upstairs. Yummy breakfast included. Didn’t have dinner there, but it looked really good. 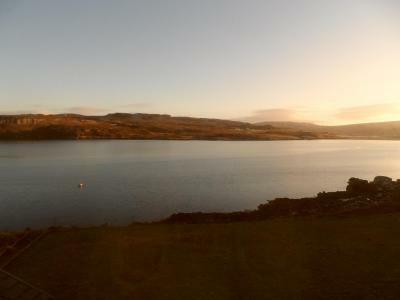 The location, midway between Portree and Dunvegan Castle, is absolutely beautiful. The staff was attentive and fun to chat with; the room was spacious, bright, and clean with an excellent shower and comfortable bed and sitting area. Breakfast was tasty and the special orders were prepared quickly. Great views, comfy rooms, excellent staff and breakfast! It was a beautiful, serene location. It was a bit of drive from the closest town, but that worked beautifully for us! They have a great team. The best food I have had in a while. The location is stunning and the property is well cared for. The food was delicious. Everything you need is right there for you to escape everyday life. 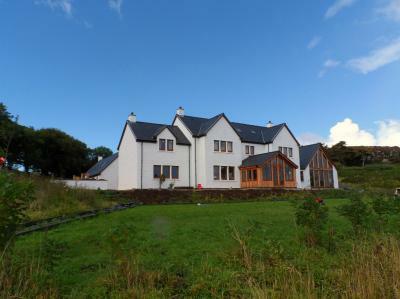 The modernness of the property made it stand out and location just in front of the Loch is worth everything. Breakfast was amazing and very very clean. We actually saw the housekeeper on her hands and knees cleaning. We were very impressed. 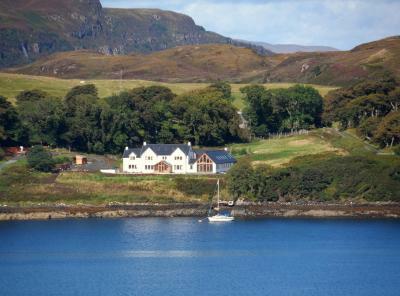 A family-run guest house on the Isle of Skye, Redwood House offers high-quality accommodations with beautiful loch views. 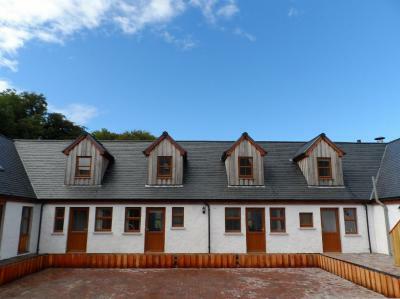 There is free parking and Wi-Fi at Redwood House, around 17 miles from Portree. Each room has a double bed, a flat-screen TV with satellite channels, tea and coffee facilities. There is an private bathroom with a shower and hairdryer. 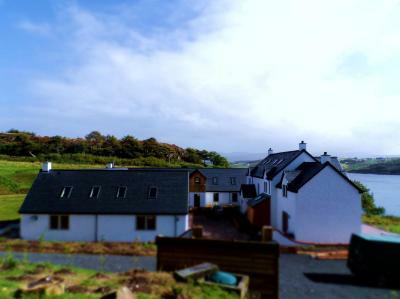 Redwood House is around 20 minutes’ drive from Dunvegan Castle and 5 miles from the village of Edinbane. Skye’s main town of Portree has a pretty harbor and is home to the island’s cultural hub, the Aros Center, just over 30 minutes away. When would you like to stay at Redwood House? This room with attached bathroom has loch views and includes a TV with DVD player, a seating area and tea and coffee facilities. 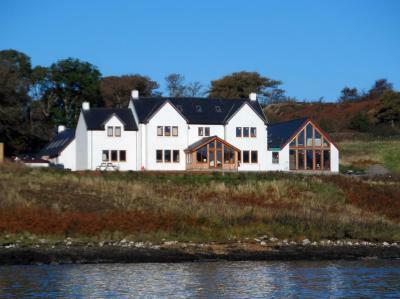 With views overlooking Loch Greshornish, this suite features a large bathroom with a walk-in shower and large bath, and a bedroom with a seating area. With a private entrance and patio, this executive double room features a seating area with a sofa. As this is a wheelchair access room, the bathroom is a large wet room with shower. The room overlooks the meadow behind the property. 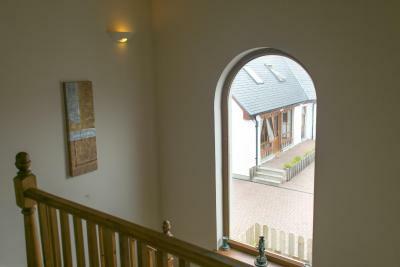 Separate from the main house, this double room features a seating area with views overlooking the garden. 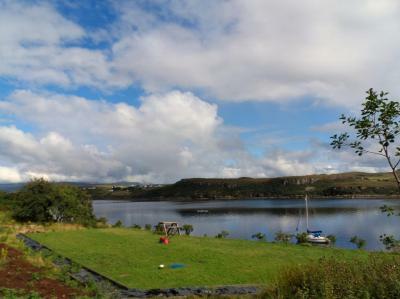 With views directed up Loch Greshornish, this spacious double features a seating area and a large bathroom with a walk-in shower and large bath tub. Set over two floors, this suite features a private entrance, a patio with seating area, a garden view, and a living room with tea/coffee making facilities. House Rules Redwood House takes special requests – add in the next step! Redwood House accepts these cards and reserves the right to temporarily hold an amount prior to arrival. Location is convenient to access most of Skye and it is private and beautiful. The staff was friendly and efficient and the restaurant delicious. Fantastic views, and very good breakfast. There was no marmalade for breakfast, and it’s in Scotland! Very peaceful. Lovely view over the water. Big bedroom. Lack of a phone signal. So getting a taxi is a bit difficult. They however have decent wifi. Everything the rooms were great with magnificent views and we could not ask for better customer service given by the two women working at the accommodation. The facility is very well thought out and there are signs that building works are underway. Modernisations to the exterior and bedroom interiors would be welcome. The hot water is provided by a wood burner and although we never went without, you need to pick you moments through the day if you wish to draw a bath. The decking out front of the restaurant could be better utilised as if would be a wonderful place to sit of an evening. The bedroom sizes are very generous, the views from our sea facing windows very very beautiful. The two resident cats were extremely friendly, as were the amazing staff. The food was always very good. 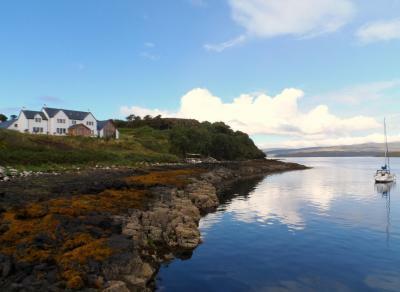 Our initial feelings were that Redwoods location was quite remote, however we quickly appreciated that this allows its high levels of peace and quiet, and allows similar travel distances to many of Skye’s main attractions. Finally, the Greshornish Hotel which is located a short stroll next door provides alternative and excellent food, along with a comprehensive whiskey and gin collection and wonderful staff. All in all, a very good stay and we would return in a heartbeat. The place is really lovely and I really liked the view from the window. Staff was very nice and the room was nice and spacious. The location is perfect for those seeking privacy. Our room view was of the courtyard, but we’re really just looking for something negative because even that wasn’t so bad. Check out is a little early for my lazy self. The hotel seems to be still making adjustments (small waterfront scaffolding for example). As you can see in the photo's. Friendly and easy to talk to personnel. nice hike that starts just around the corner with a great view of the cliffs. Overall very happy with our stay. However the bed was too soft for our liking.